If you have ever got a signed copy of my books, you would notice that I always sign the books the same way. 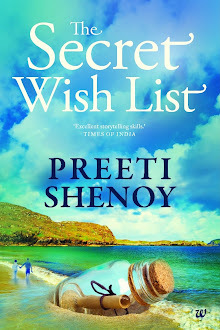 ‘With love, Preeti Shenoy’. I do not know why most people shy away from expressing love. For me, when I say ‘with love’ I do mean it. Always. I have put in my best efforts in my book. I have told a story that is close to my heart in the best possible way that I can. You as a reader are spending time and money to read my story. For me, it is an honour. And when you ask me to sign a book, how can it be with anything other than love? For me it is so important to express it. And it is sincere and from the heart. I get tonnes of mails expressing gratitude. I reproduce one such (with the permission of the writer of course) that moved me deeply. I made one card but I wasn't satisfied with it at all. So I destroyed it. Yeah--I am like that :-) if something doesn't make me happy, I get rid of it! Then I made these three cards--which I am super pleased with. I am hosting a blog giveaway for these three cards. This is my entry for Wordless Wednesday. Check out my latest bookhere where it has been getting some fabulous reviews. You don't need a credit card. You can even pay cash on delivery. Saturday had a nice surprise for me. I was featured on the cover page of Calcutta times of Times of India along with Ashwin, Ravinder and Amish. And the Deccan chronicle (Kerala) which came out with a special two year anniversary issue today featured me as well. For more Media coverage click HERE. Of course I feel super proud about all of this. Cris from Deccan chronicle who had contacted me said that my life really feels like a fairy-tale. (after reading the piece in the paper). I told her that since the newspaper article had a 250 word constraint, I really couldn't elaborate the struggle and the work that was involved in getting here. Today I was interviewed by E-fiction India as well for their April issue. They had a video interview as well as a print interview. Most people see only the glamour and the shine. They ask what is my advice to writers. They ask what my books are about. They ask where I get my inspiration from. What most people do not ask is what it involves. Most couples celebrate their wedding anniversaries. We don't. Okay. So this is a 'semi-rant' post. It is different from my usual 'oh-look-at-the-bright-side' posts. Because sometimes you just have to say it like it is. There is no other way. I know you folks, the nice folks, (the folks who read my blog :)) probably know all of this. But the blog is where I can express myself. I have to clarify certain things over and over, because I get asked the same things again and again and again , mostly by people who don't know me at all. As a writer I am constantly observing people, analysing them, trying to see things from their perspective and most of all seeking what makes people tick (or stop ticking as the case may be). I used to do it even before I became a writer too. It's just the way I am wired. One of my degrees (I have several and varied educational qualifications) is a Masters degree in Sociology which --no prizes for guessing-- is one of my favourite subjects too. Social psychologyand I have spent many happy hours together. But that does not make me an expert but it sure gives me many perspectives which I might not have considered before. Of late, I have begun analysing relationships a lot. Especially friendships. Friends are truly the family we choose for ourselves. It is interesting to see what kind of friends you have chosen for yourself. Your choices speak volumes about you, as a person. Scattered windows- connected doors. Celebrating Women. Some time back I had mentioned on my blog about being featured in a documentary film made by the all woman production house zero rules, and how awesome it was to be a part of it. 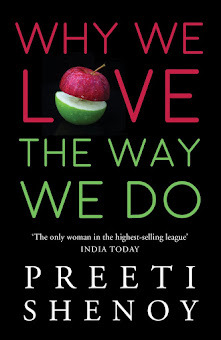 The documentary 'Scattered windows--connected doors' features eight inspiring Indian women who have defined success their way. And yes, I was a part of it.